The Trajectory of the Cuban "Danzón"
Please note: All available spaces have been reserved for this event. We cannot accept additional reservations. The danzón is the most elaborate instrumental dance genre in Cuba's popular music. It has had a lasting influence in the Caribbean context and has been incorporated into the music of Mexico. This illustrated lecture will provide a historical overview to assess the Cuban danzón, from its origins in the 19th century to contemporary times, showing the various stages of its evolution. The exposition will be supported by piano performances of typical examples and famous pieces of the genre. 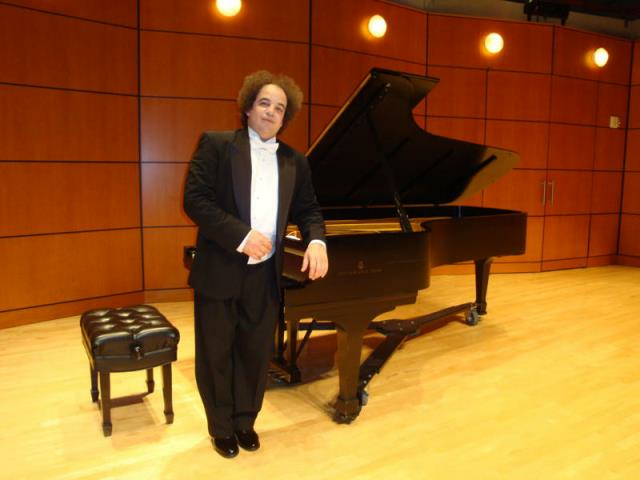 José Ruiz Elcoro is a Cuban pianist and musicologist, specializing in Iberoamerican music. He is currently a pianist for the Miami City Ballet. He earned his B.A. in Philology at the University of Havana and graduated from the Ignacio Cervantes Conservatory in Havana. As a piano performer and lecturer, he has appeared in numerous stages and universities in Asia, Africa, Europe, and the Americas. He has taught at several conservatories and schools. Since 2009, he resides in the United States, where he is a professor at the Kingdom Kids school and collaborates with the Fundación Musicalia de Puerto Rico. The event, to be held in Spanish, is free and open to the public. It is cosponsored by the FIU Libraries as part of the Viernes de Musicalia series of the Díaz-Ayala Cuban and Latin American Popular Music Collection. For more information, please call (305) 348–1991 or write cri@fiu.edu.